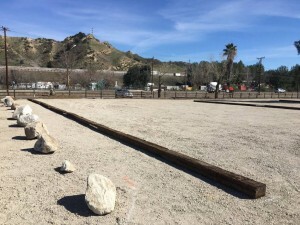 Trail explorers now have access to nearly 100 new parking spaces when visiting the popular Towsley Canyon trails in Santa Clarita. The new gravel parking lot extension is free and open to the public. Residents are encouraged to take advantage of this new convenient amenity. Before the City’s purchase of the property in the late 1990s, the parking lot area was previously known as Rivendale Ranch and was occupied with abandoned structures from a prior use as an equestrian event arena. The 60 acre property was the subject of a City–led master planning effort in 2013 which established the long term plan for the property now called Rivendale Park and Open Space. Last fall, the City cleared the unsafe, aging, red-tagged structures that have been an eyesore at this location for many years. This work not only addressed a safety issue, but by returning the site to a more natural state, it restores the groundwater recharge potential of the site. Materials from the clearing were recycled and diverted from the landfill as much as possible. These improvements are consistent with the approved Master Plan for Rivendale Park and Open Space. In addition to the parking lot and new loop trail, the plan includes improvements construction of a cultural/educational use area, an amphitheater and restrooms. For more information about the Rivendale Park Master Plan or the recently opened parking lot, please contact Tom Reilly at treilly@santa-clarita.com or at (661) 255-4394.